Edited by a leading expert in the field, and with a distinguished international team of contributors, Novel Food Packaging Techniques provides an authoritative and comprehensive review of the key trends. 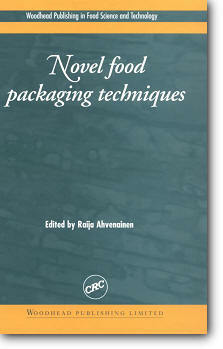 The book covers the range of active packaging techniques and the use of intelligent systems such as time-temperature and freshness indicators to assess food quality. It reviews developments in modified atmosphere packaging and its role in enhancing product safety and quality, describes packaging applied in practice to particular products such as meat and fish, and discusses other key issues such as packaging optimization, the legislative context, sustainable packaging and consumer attitudes.